FT. WORTH, TX formerly of NEW ALBANY, MS- Mr. Hugh Wesley Ferrell, 73, passed away on Friday,!March 2, 2018 at Texas Harris Methodist Hospital in Ft. Worth, TX. He was born November 30, 1944 in New Albany, MS to Washington and Macy Ferrell. He was a graduate of East High School, Aurora, IL. He was an honorably discharged United States Army veteran.While in Ft. Worth he served on the Ft. Worth Zoning Commission, provided quality rental properties for families, and helped feed the homeless. 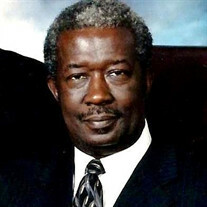 He is survived by his wife: Ollie Thornton Ferrell, one daughter: Valarie, two grandchildren: Destyni and Justice, one great granddaughter: Zoe, his mother: Macy Ferrell, sisters: Lou, Grace, and Vickie, brothers: W.T., John (Alice) Hayes (Charlene), Harvie (Brenda), and Paul (Evon). Funeral Services will be held Tuesday, March 13, 2018 viewing from 9:00 - 11:00 at Serenity-Simmons Funeral Home Chapel. Service time at 11:00 a.m. Interment at Hillcrest Cemetery, New Albany, MS. Serenity-Simmons Funeral Home of New Albany is in charge of arrangements.